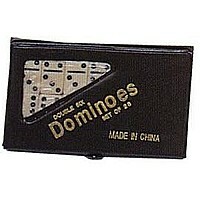 Need to stimulate your mind on your lunch break perhaps? We have the answer. 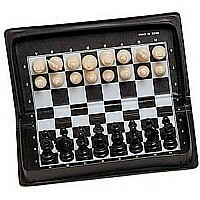 This light weight magnetic folding chess set! 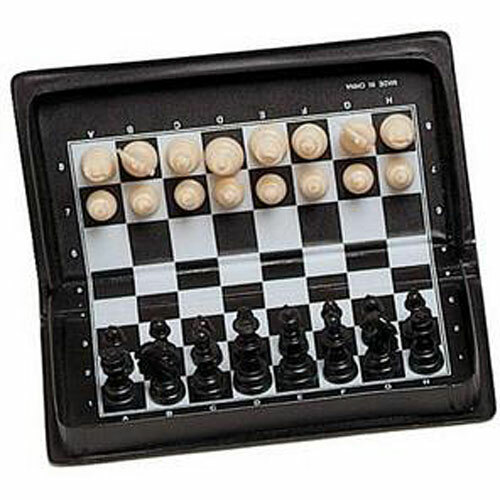 The ten inch plastic board folds to hold chessmen. 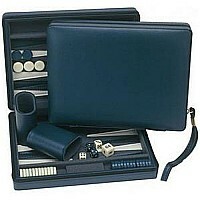 Plus, the set is magnetic which keeps the pieces in place for those long, delayed games! 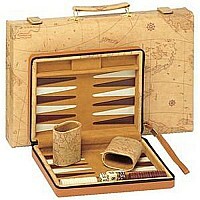 A great set for beginners! 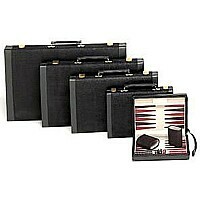 $3.95 Magnetic Black Suede Backgammon Set 9"